I love this time of year, Summers not quite over and Autumn not yet started. The morning air smells different and inviting. The plums are dripping off the trees and Im looking forward to making plum and ginger jam. We have a new apple tree in the garden and its given a wonderful tasty crop. 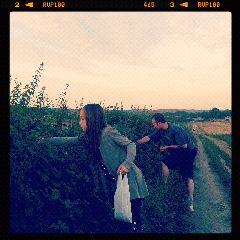 But what I particularly love is taking the whole family blackberry picking.The kids love it, yes you get stung and end up with purple hands and in my kids case purple faces, but there is nothing more enjoyable than foraging for fruit on a warm evening across the fields. 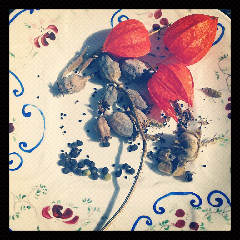 In the garden I've started harvesting the flower seeds from Larkspur, Sweet Peas & Poppys ready to use next year, its an enjoyable garden job that's most relaxing & its free seeds!